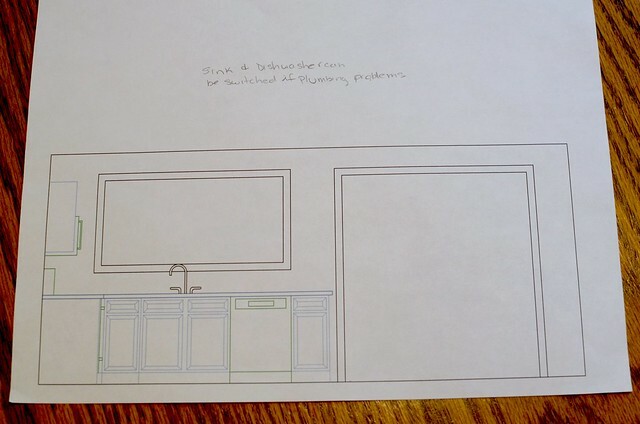 Well, we officially have plans for our kitchen remodel. I have additional sheets with all the measurements too. 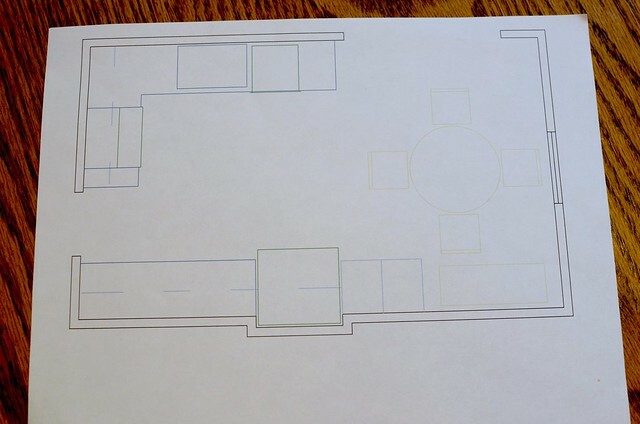 It is so nice to have all the measurements so we can order cabinets and countertops, etc. 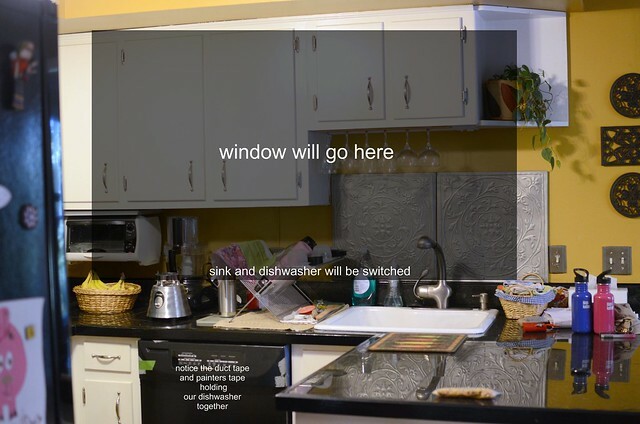 We will be removing the upper cabinets and switching the sink and dishwasher. It was hard to get it all in the frame, but this gives you an idea of what we are doing. Please try to overlook my dirty kitchen. This pretty much stays the same, except we will add a cabinet in the corner. 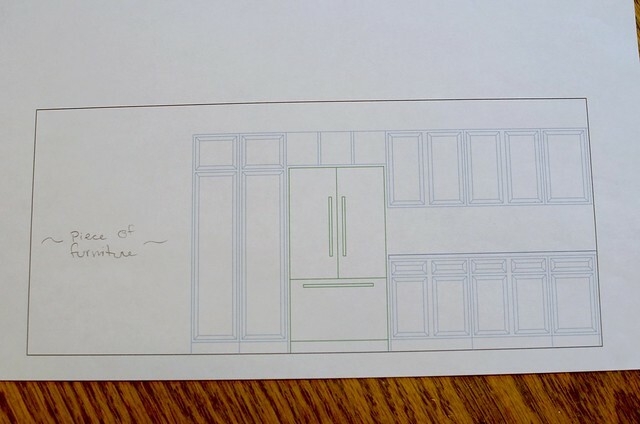 We will also actually have an oven according to this plan. 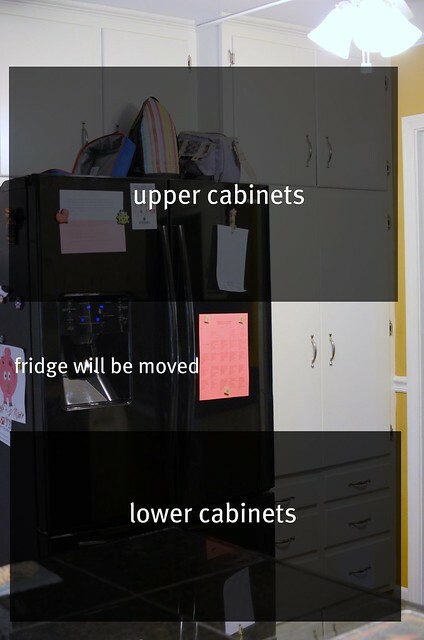 We are going to move the fridge to where the door is now. 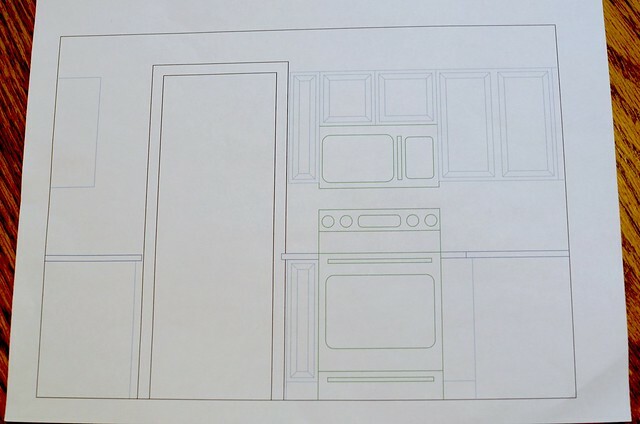 We will put in upper and lower cabinets with a countertop to give us more storage and countertop space. 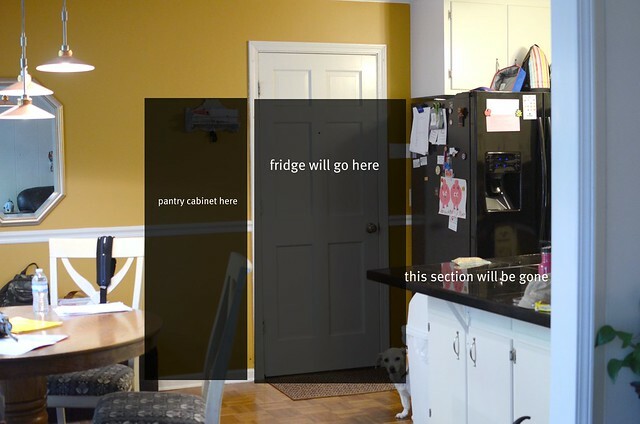 The pantry will be on the other side of the fridge. Then we will put a piece of furniture in the corner. 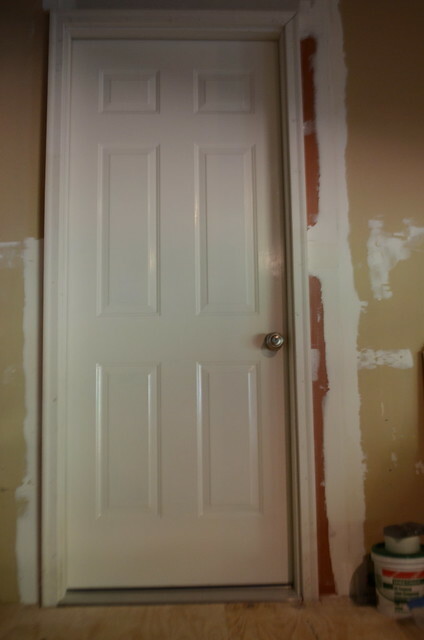 The door has 2 more coats of paint and a door knob now. It is officially functional. Now we just need to finish the drywall and paint. Now I am ready to get started!! Lots of take-out in your future, but oh it is going to be so, so, beautiful when you are done. I LOVE your white cabinets...did you paint those ones? I'm so torn on what color to paint mine.